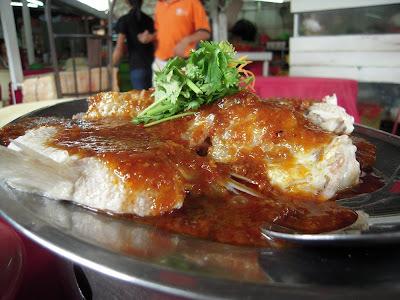 Many people are horrified of fishy stories of how they might end up paying through their gills ( actually noses ) some RM400 a miniscule fish like at some hallucinatory Gourmet Lunch in Goh Tong Jaya ( "make him super rich" near Genting Highlands Casino, Pahang ) . Many more will not dare to order fish for lunch or dinner coz they cannot tell whether it is from the ponds , the lakes or from the muddy sea ( or whether they are dead or alive) and then also they all look the same...what more after being covered from head to tail in brown gingery beany sauce and looking mostly invisible, and generally ugly. 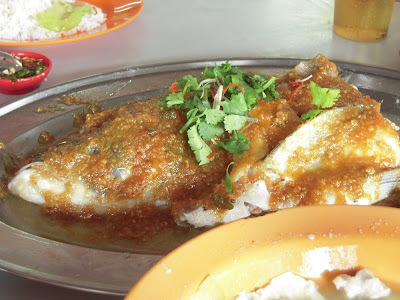 Just to be quadrupally sure , you can try the following fish at these places here , for they will cost you below RM20 each ( or 1/2 of each of 1/2 a head , if you are lucky) . 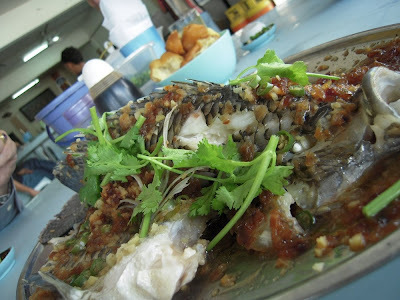 So go for it since it is steamed fish you want ! shud b safe with tilapia..no rm400 tilapia swimming around..i hope.. Promise no muddy smell? My cultivated in Pg tastebuds very sensitive-1. Haha.. the countdown to the best fish in town. Btw, what is the drunken cat?? 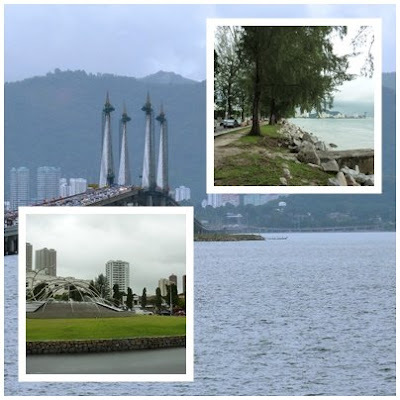 I prefers Penang - buy from the reputable fish mongers or fisherman's village and DIY by MIL. Or eat only at familiar tai chow. And lastly in those restaurants with a clear menu and price. Enough said as enough burnt. oh Jln Peel! the place with the YTF right? Hin Kee, got it! it's near to Maluri Jusco, aint it? if you follow us we will make sure the Master Steamer includes the impeccable colorless Chinese alcoholic spirit to douse all traces of the mud or we will bring you to Sg Buloh next ! 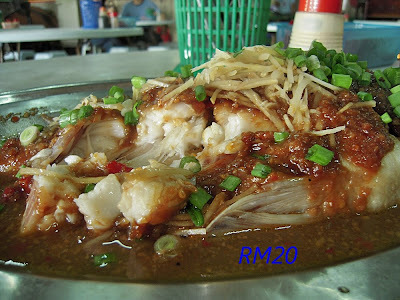 the road itself is pretty short , cowboyish and messy and near the carrefour and yes some short distance to jusco maluri, but with outstanding ancient chinese road food. you should have seen the killer place with the shining zinc roofs beside centuries old bamboo shoots before the road widening ! I love all da fish! the drunken cat, perhaps preserved under the magic of alcohol has been here longer that many carrefours put together. sometimes, in some expensive restaurants, the words fish and prawns will kill with its open mouth singing price. this drunken cat sings a different yummy tune instead. but you have all those fresh chips ! nice of you to drop in from the cold again ! have fun in Doha , great place ! 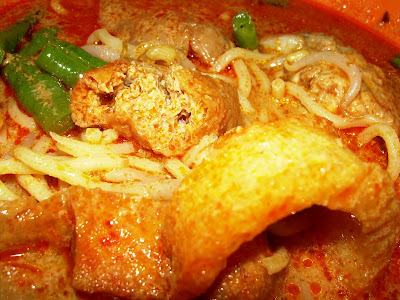 the other one we love is steamed pak su kong ! i love fish, whatever way you cook it. i will eat it all up!